Hey guys! 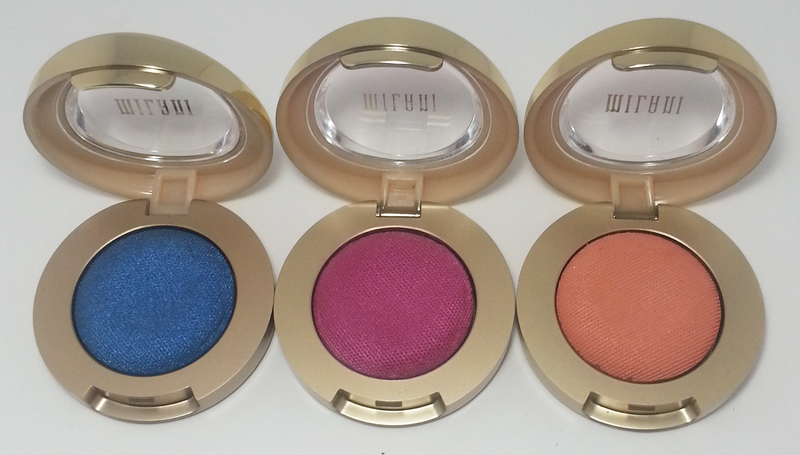 Welcome to part 2 of the Milani Bella Eyes shadow post. I will be showing you the last 12 of the collection so get ready. Yes, the sets of 6 swatches I'll be showing you pair very well...AGAIN! 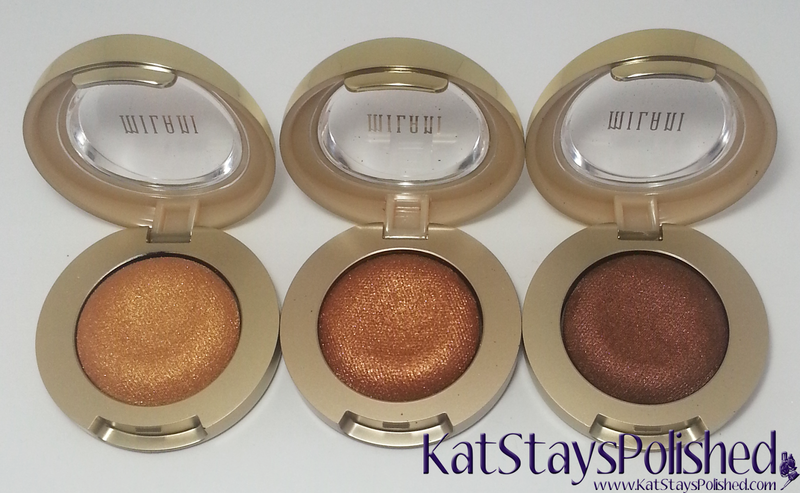 Love Milani for putting so much thought into these. Even the trios in all of my pictures are colors that would look amazing together! Okay, Bella Rouge, Bella Silver, Bella Teal are absolutely gorgeous. This would be a fantastic trio to wear for a holiday party. Start planning your makeup looks now, girls! Bella Gold, Bella Copper, and Bella Bronze are simply stunning shades for the upcoming fall season. 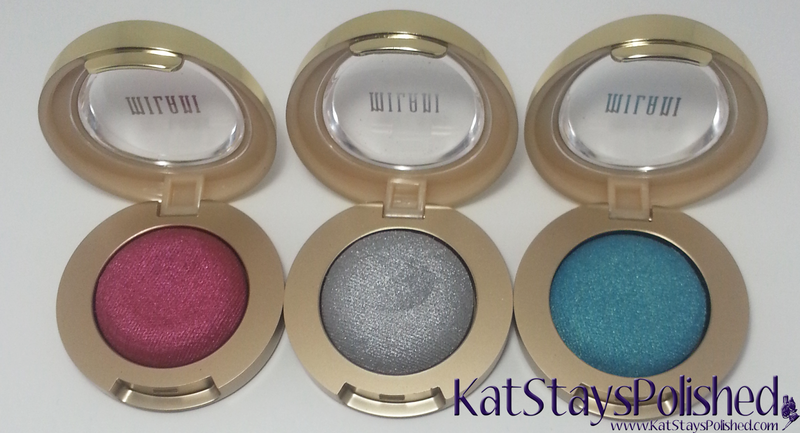 They have fantastic shimmer power and are colors that will really stand out on your eyes! Couldn't you see all of these in a mini palette together? Look at that shimmer and look at all of the possible combinations! I can't stop staring! Bella Cobalt, Bella Fuchsia, and Bella Mandarin may look intense but they are very soft colors. If you want a pop of color on your eyes but don't want the bold intense color, they definitely reach for these shades. 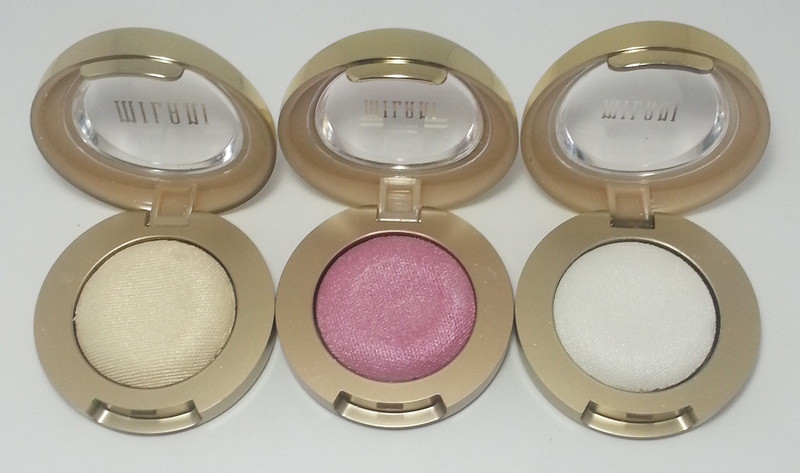 Bella Chiffon, Bella Rose, and Bella Diamond are also delicate shimmers. Of all 30 shadows, I think Bella Diamond is the most sheer and the one that would be most appropriate for subtle highlighting. All 6 of these shades look pretty sheer. If you're not really into bold color, look into a few of these! So what do you think of this entire collection? I'm super impressed and so happy that I own such wonderful shadows!